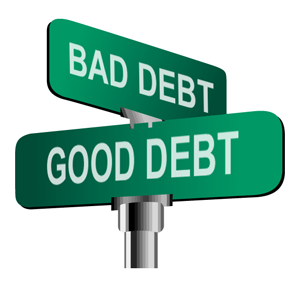 MK Properties / Uncategorized / The Truth about Debt – It’s not all bad, and can be quite good! The Truth about Debt – It’s not all bad, and can be quite good! It’s no secret I am not a fan of our current school system in how it teaches financial literacy (or lack of). One such topic is debt and how the majority of us look at debt. We have been trained to aspire to have no debt, and pay off our mortgage as soon as possible and live debt free. Now I’m not saying go out and load up on your credit cards and go on a spending spree, but there are ways that debt should be your greatest ally for sound investment decisions. Now what if you had a debt, however it was fully being paid through one of your investments, Is that really a debt? Technically it is, but if it is already being paid for you, then other than the feeling of having a debt to your name, it is a good forced savings plan. Now let’s say that your debt was being covered and you also had some money left over afterward for yourself. This is essentially a forced savings plan as well as a solid investment. 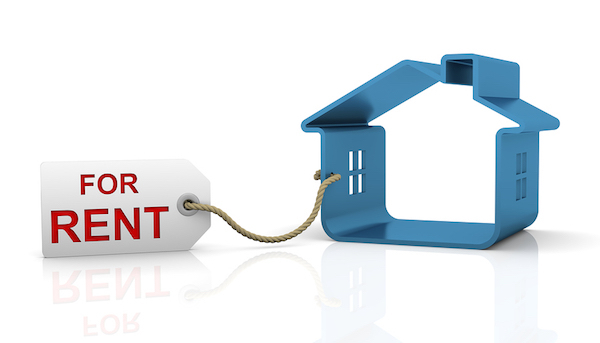 The premise above is one that happens when someone owns an asset (usually an income property). It is essentially someone else (a tenant), paying off your mortgage. Then when you have money left over after all the other expenses are paid is cash flow. Without even looking at appreciation in a home, you have a solid investment in that someone else is paying off your debt, and you can be making passive income on a monthly basis. In fact, without even looking at appreciation, just someone paying off your mortgage and some cash flow, if you purchase the right income property (with a typically 20% down payment), you can expect to match or beat stock market returns (which are expected to be around 6%-7% yearly over the next 10 years), That sounds like a solid deal to me! These investments are very possible in Ontario with market conditions very favourable when it comes to demand for housing, which shows no signs of slowing down due to our immigration as well as constraints on land and new development. Both mortgage pay down and cash flow is what I call “Risk Mitigators” in Real Estate investment. It buffers against a change in interest rates, market corrections, repairs, and other unexpected things that may happen. Then when you actually do factor in appreciation in a home, this is how you build your wealth. The key is to find a good market with strong economic indicators to ensure there is demand for your rentals (note: many cities in Ontario have vacancy rates less that 3%, some even less than 2%). When you tie it all together, Real Estate can pay off your mortgage and provide you some money on a monthly basis as income that can match returns similar to the stock market, then when you connect that to a property that is in a city with a good long term economic outlook, the appreciation is what can propel that investment to bring you long term wealth and financial freedom. Visit us at www.mkproperties.ca and our page MK Investment Group to learn more about how we invest in real estate, or reach out if you would like to learn how we are providing double digit returns for our partners year over year. Martin Kuev is a full time Real Estate Investor, Realtor and Investment Coach. He has worked in senior positions for some of the most respected and well-known global organizations including Coca-Cola, Kraft and Nestle. With a multi-million-dollar real estate portfolio and team he built over the past decade, he left the corporate world to have the flexibility to spend time with his family (including 3 young girls), continue with his real estate investments, and help others build their long term wealth.